To murder is to kill, but to kill is not necessarily to murder. The same direction is applied with force and violence: violence is force but force is not necessarily violence, as my previous post explained. Interestingly, tue/tuer in French which means to kill, comes from Latin tutor: I guard, protect, defend. This points to the root of the understanding of kill vs. murder. To kill (tue in French) derives from guard, protect and defend. Killing is only killing, and not murder, when it is used to guard, protect or defend oneself or others, whereas murder is not. This is the causal root understanding of the difference. In which law is it unlawful? Moral Law! There is such a thing as lawful killing in Moral Law. When the principle of nonaggression and nonviolence is disregarded and is violated, whereby someone violates and tries to end another’s life, the principle of self-defense is allowed to use force to end that unlawful violence and violation, and use whatever force necessary to end that violence. This can mean that the violent violator is going to be killed, if need be, under this moral law of self-defense. They are breaking the mutual respect, order and law of nonviolence, to do no harm, and shirk their own right to not be harmed because they seek to do harm to another. Someone can take the necessary means to protect, guard and defend themselves against a violent aggressor that threatens to murder them. Murder is the immoral crime of deliberately killing. When you defend your life, or the life of another, which might require killing, this is not a deliberate killing. Murder is a form of killing, but it is immoral, as there is no right to do so and is a wrong. The nonaggression and nonviolent moral law is violated by violence. 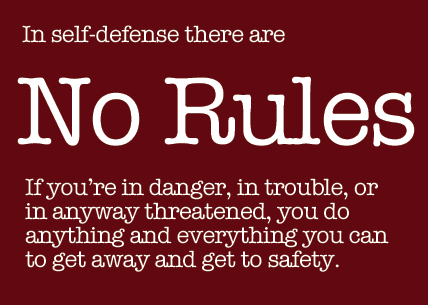 Self-defense takes place as force and not violence, and is a right and not a wrong. Murder is initiation of violence by taking another’s life that caused no harm to anyone, did no aggression or violence towards another being. Killing is a causal response (self-defense) to an effect and violation brought against another’s will (violation of nonaggression and nonviolence). This is the difference between moral lawful killing, and immoral unlawful murder. One is always allowed to defend their own innocent life, or the life of another innocent, when someone tries to violate that life. This is a natural right under moral law. It’s not something to be done lightly, but it is something that can be done rightfully, and is not a wrong. There are no rules when someone violates and breaks the rules of the principle of nonviolence and threatens to take the life of an innocent (did no harm, aggression or violence to another). I suspect you have this mixed as it reads like the biblical eye for an eye which gandhi answered succinctly. Self defense where you kill someone isn’t killing, it’s murder? You can engage in an action that takes a life lawfully, whether self defense or balancing the scales to redress a wrong… There are circumstances where it is valid to kill lawfully and it isn’t murder (unlawful killing). If we were in a potentially life threatening situation and you shot the attacker in the head I suspect this would be deemed manslaughter as, whilst there were obviously mitigating circumstances, at the end of the day a head shot is straight up shoot to kill, which would be dubious if from a citizen or law enforcement officer. Unless it was very obvious that an attacker was intending to kill, I suspect we are walking on thin ice if we take preemptive force and kill an attacker on the premise we believed they were going to kill us. If we woke up to find a burglar, went to the kitchen to get a knife and then plunged it in his heart this would be more murder than self defence. If we take that criminals are human then they have a human right not to be murdered in a semi premeditated way. My understanding is that most burglars don’t attack the occupants so if your insured your better off being stealthy and letting them take a TV and then get it replaced. I hope I never find out !